Compatible with all major browsers and handheld devices. No downloads needed! All your valuables have a place in iKeepm. Record in-depth details and more. Small apartment, big house, multiple properties? Organize your items by properties, rooms and categories. All iKeepm accounts use SSL-encrypted connections by default. 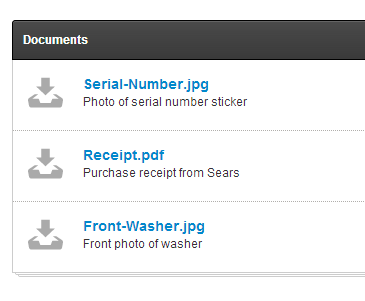 Store photos, receipts and important documents. Access it conveniently online. Analyze your home inventory with reports and an analytics dashboard. Don't just stop at your first property, add others if you need to. Split each property into rooms, accurately track where each item is located. Giving you an at a glance view of items, rooms, properties and inventory value. It's YOUR data. Export your data as a PDF or Excel file with a click of a button. We go all out to have the happiest customers on earth. Friendly reponse from our crew. 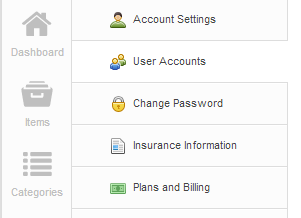 Share responsibilities with up to 3 users. Easily work with everyone involved. 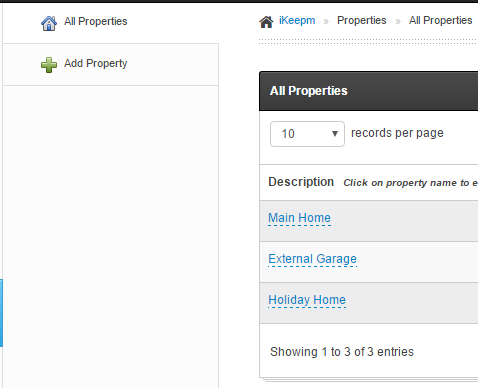 Store, organize and edit item location across multiple properties and rooms within each property. Managing several properties within your portfolio has never been easier. All of your household information has a place in iKeepm. iKeepm is your home for pictures, invoices, receipts and much more. Our online platform allows you to save files and access them from anywhere. Maintenance logs help you track service repairs and regular maintenance tasks like changing the air filters and batteries in your smoke detectors. 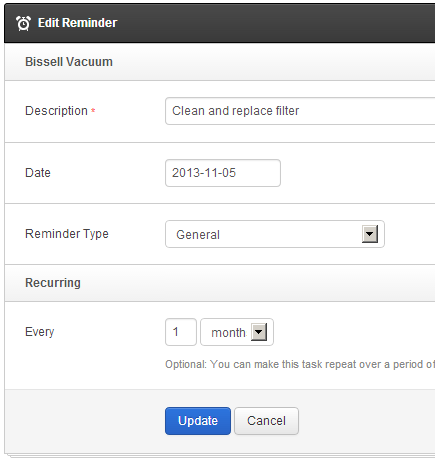 Integrated reminding feature helps you keep track of upcoming tasks. 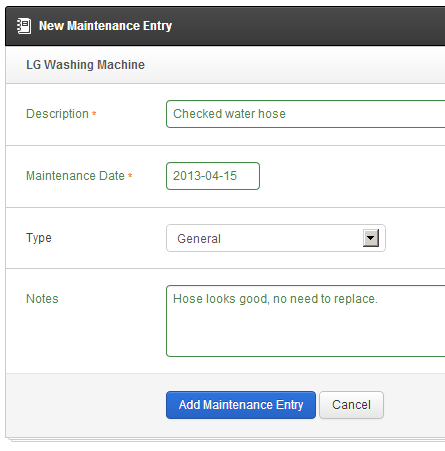 iKeepm takes all the hassle out of managing maintenance activities. Our system comes to you with convenient email reminders. Renew your homeowner insurance policy. Change the fish tank's water. Share information, notes, files and more with others. Allow your family and friends to help manage your home inventory.